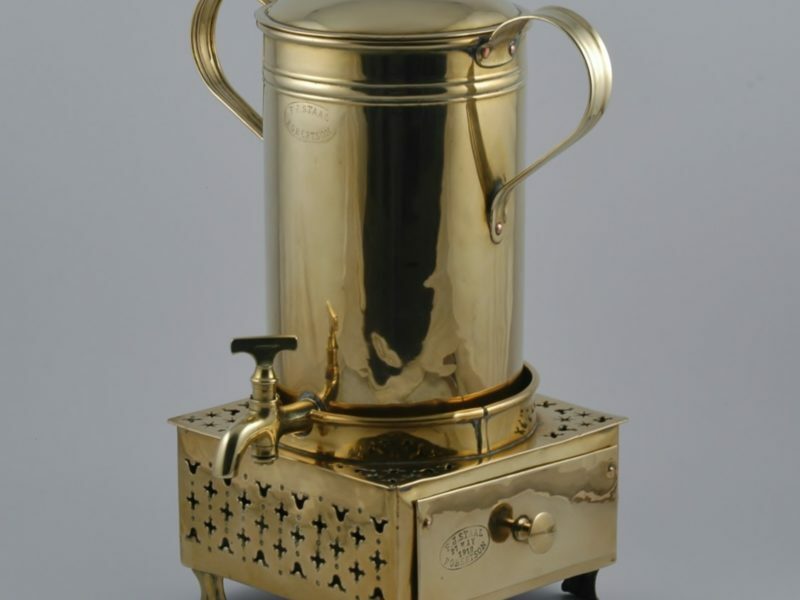 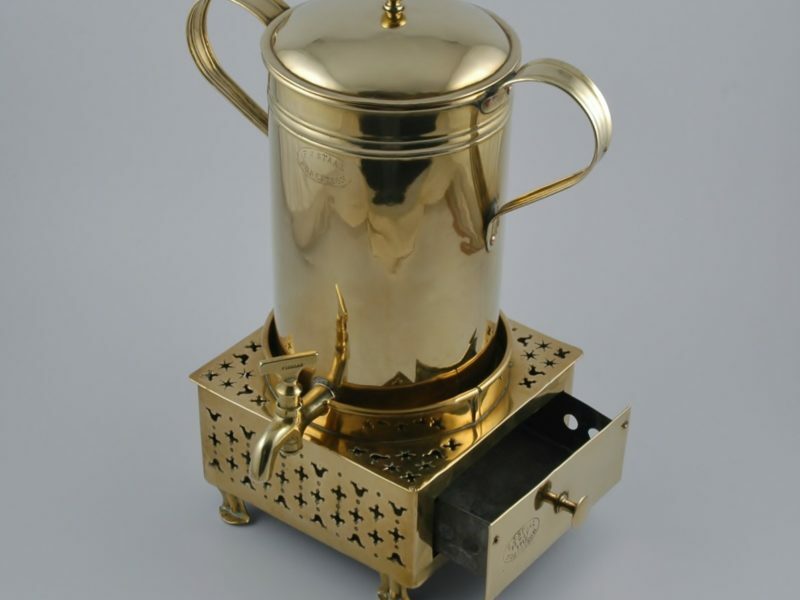 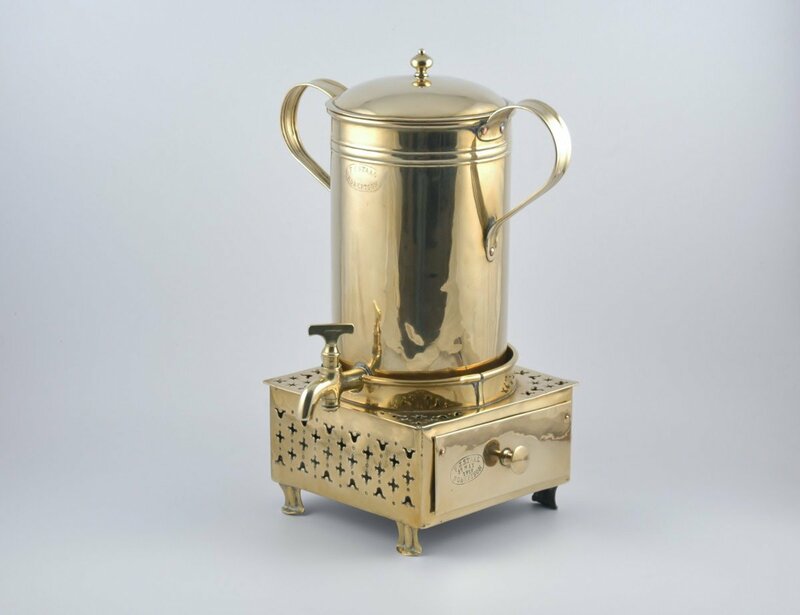 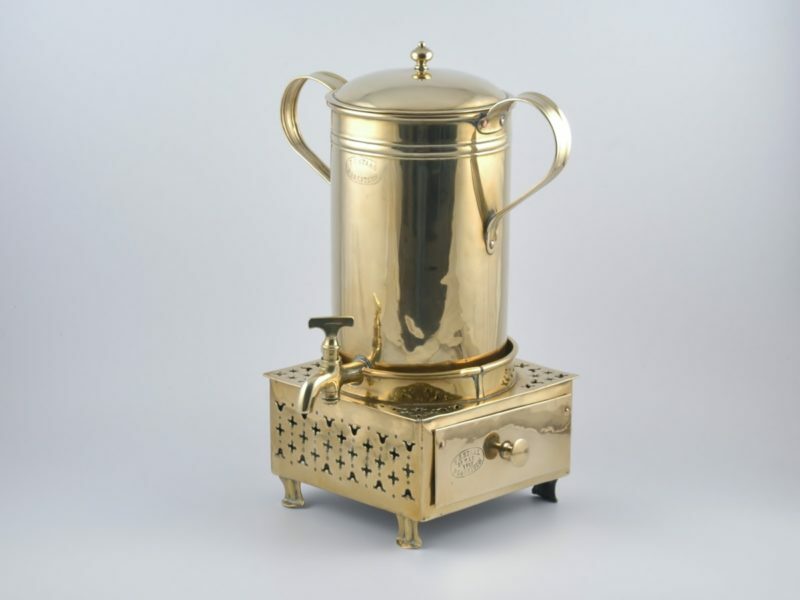 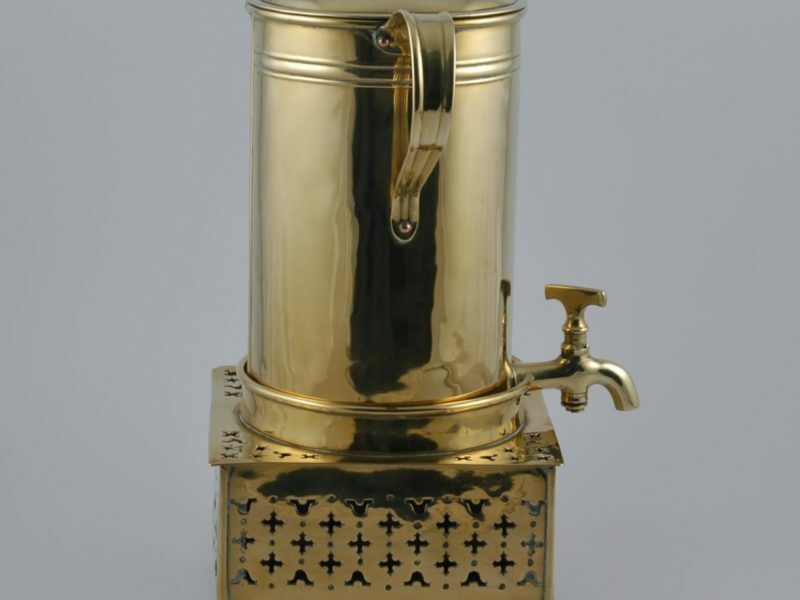 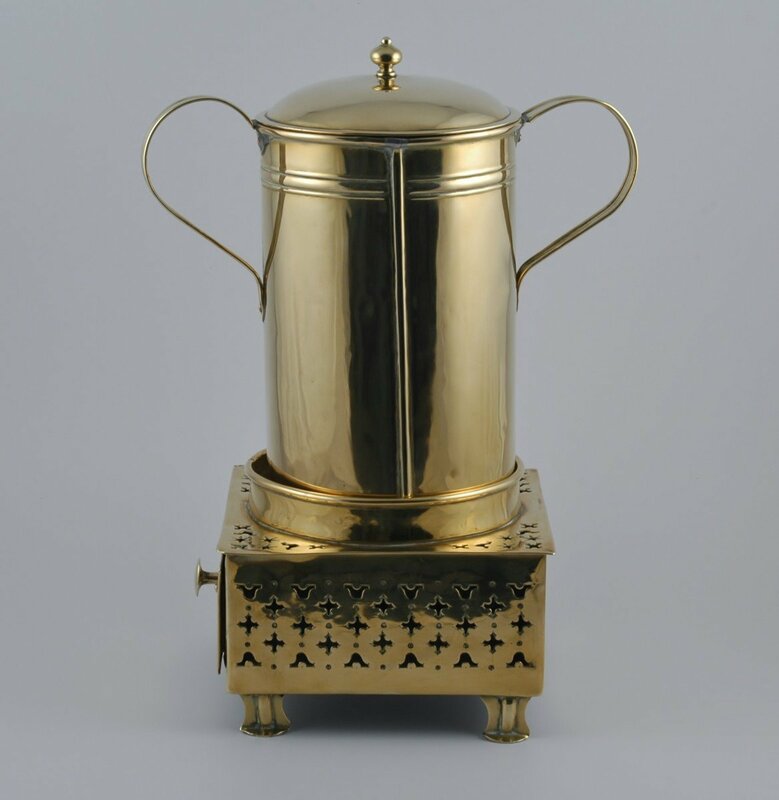 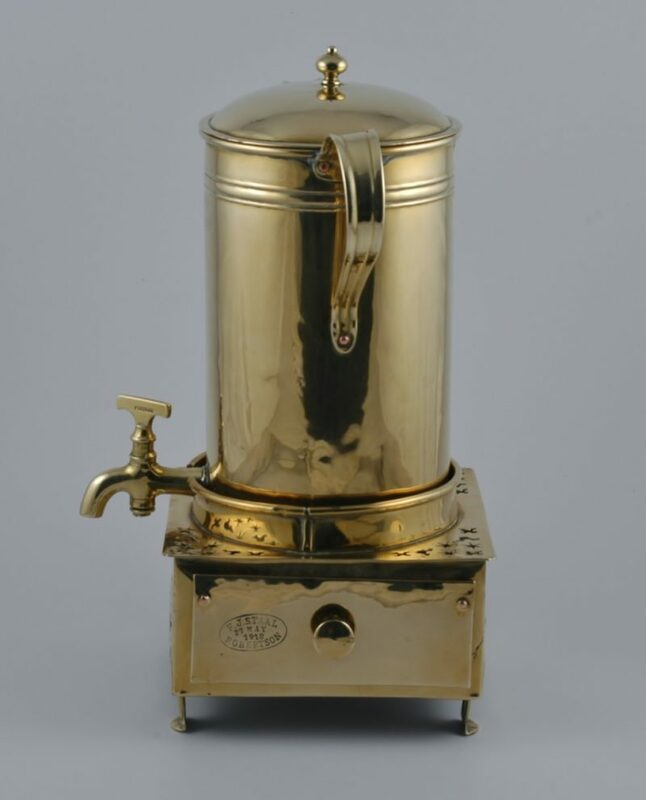 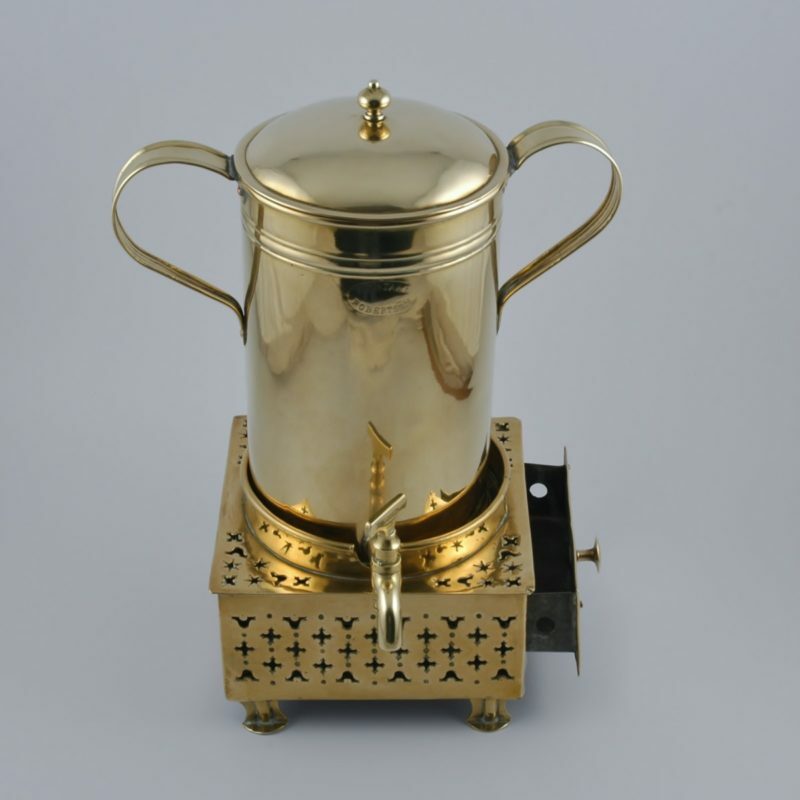 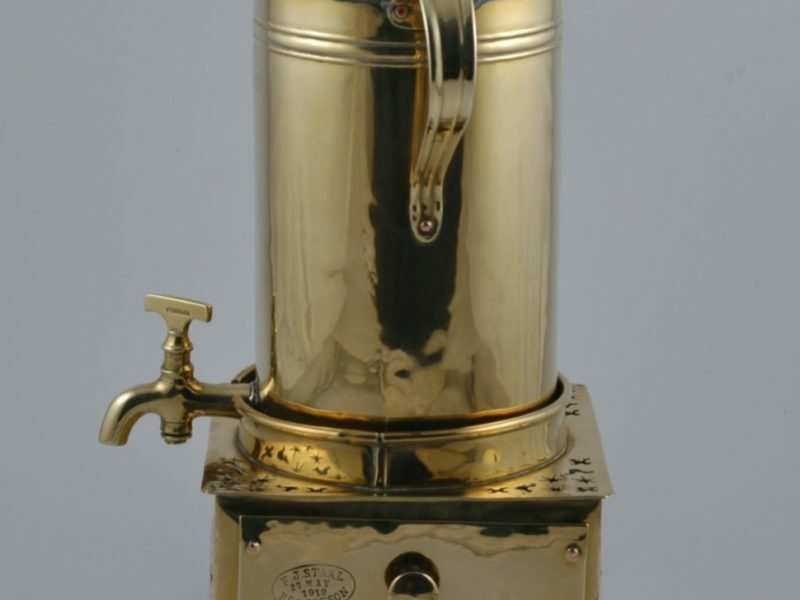 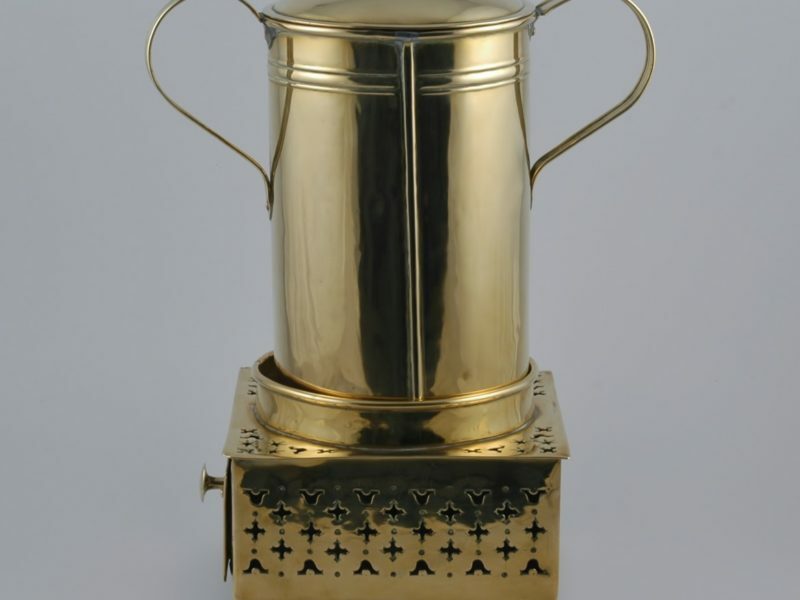 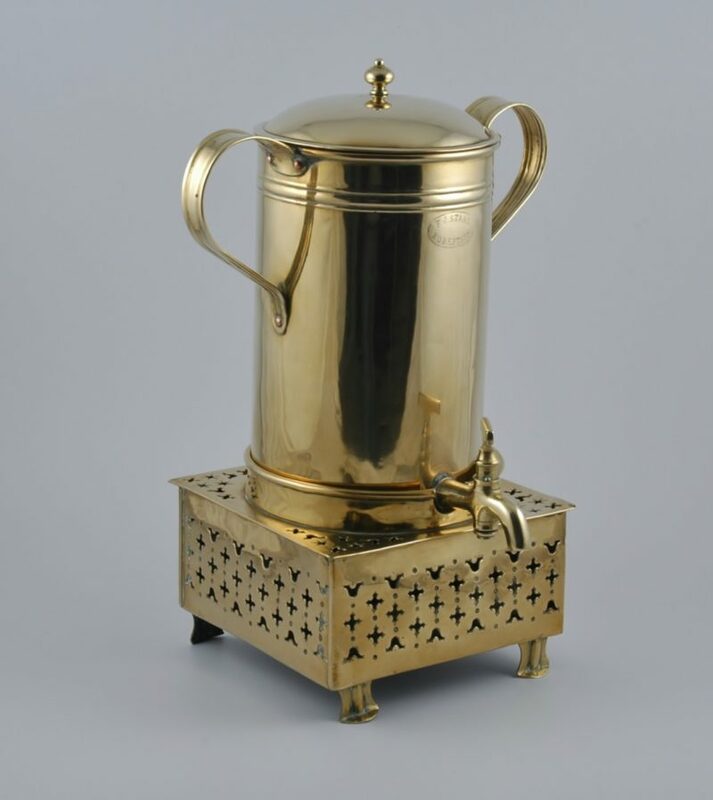 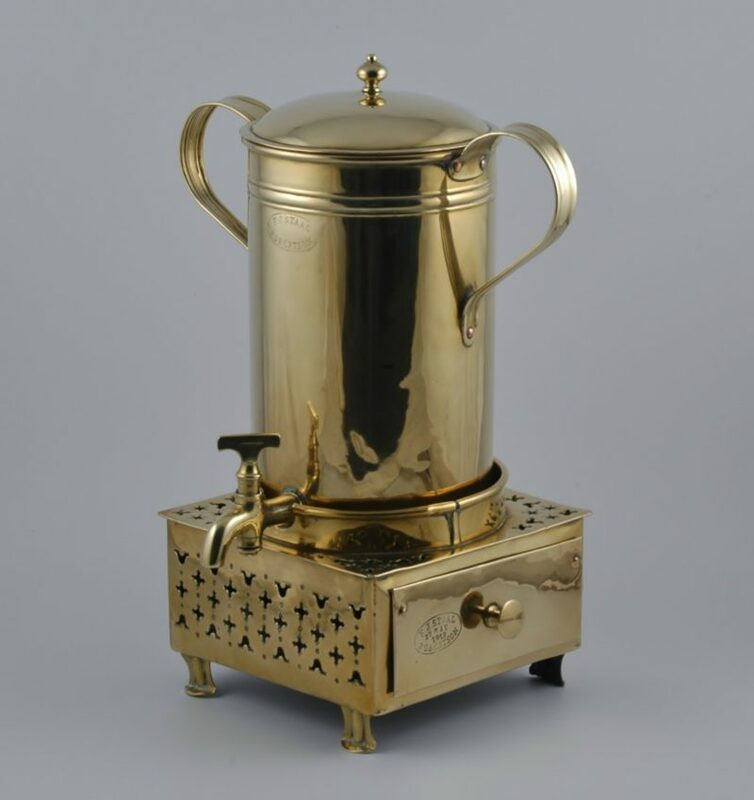 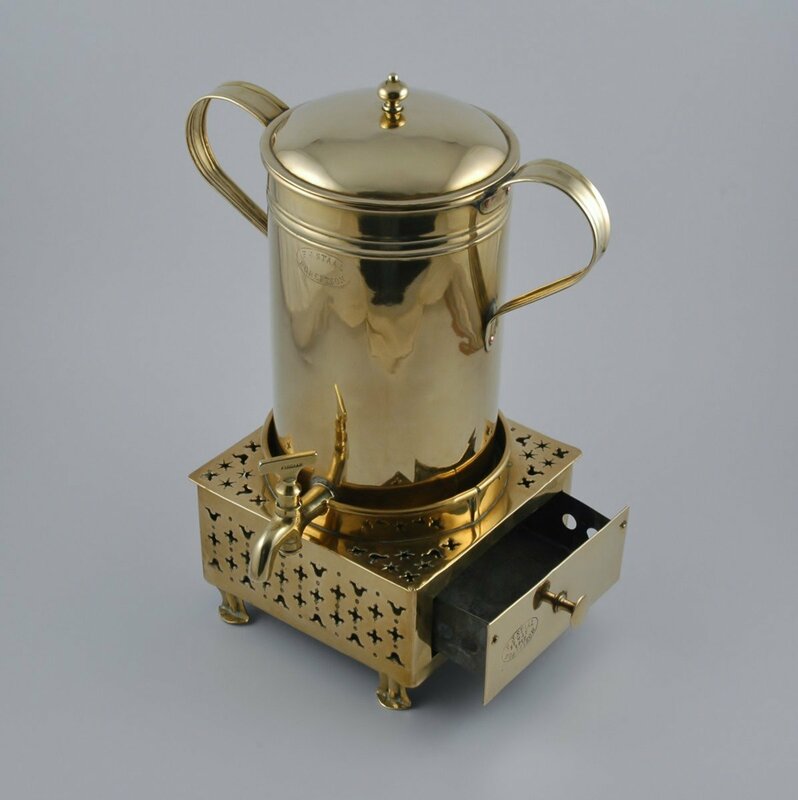 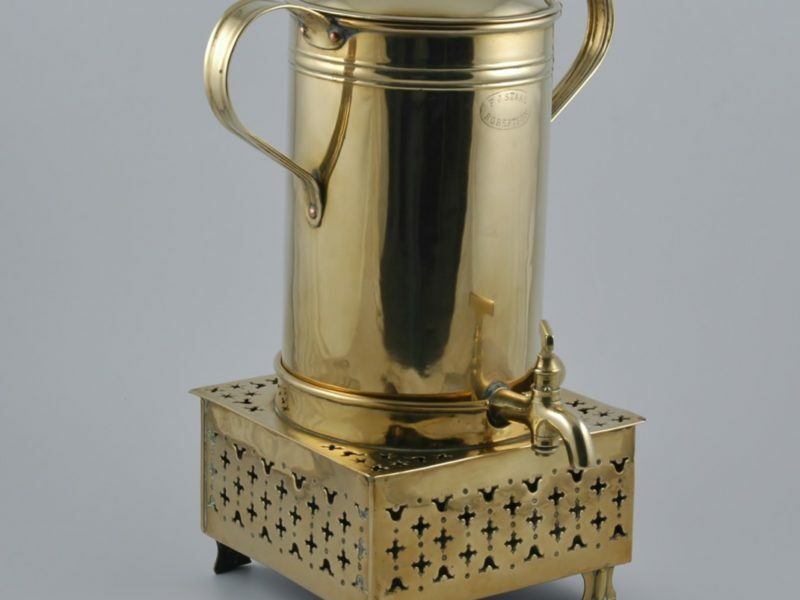 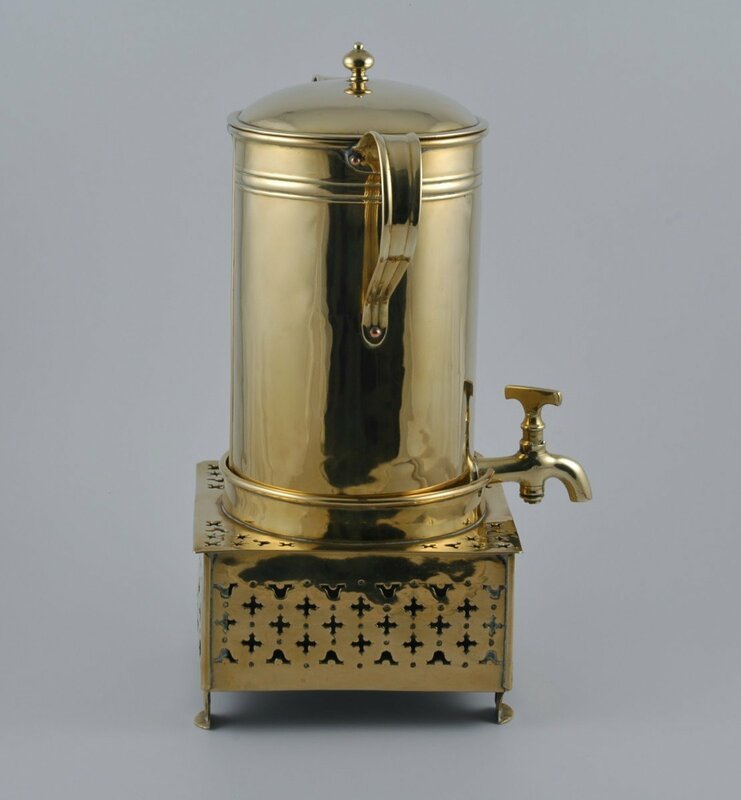 Cape brass coffee urn and konfoor made in Robertson by Frederik Johannes Staal dated 27 May 1918. 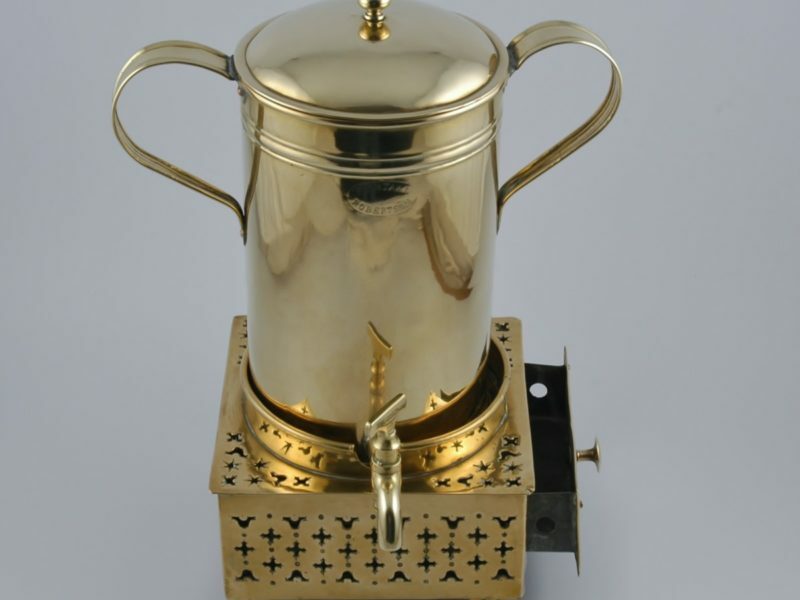 See page 128/129 of “The Cape Copper-Smith” By Marius Roux. Dimensions: 41.5cm overall height by 20.5cm width at konfoor base.